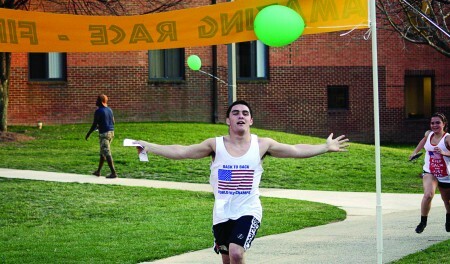 To kick off International Week, the Shenandoah Neighborhood organized the Amazing Race. On Monday from 6-9 p.m., 15 teams of two raced around campus to beat one another in logical clues and physical speed. 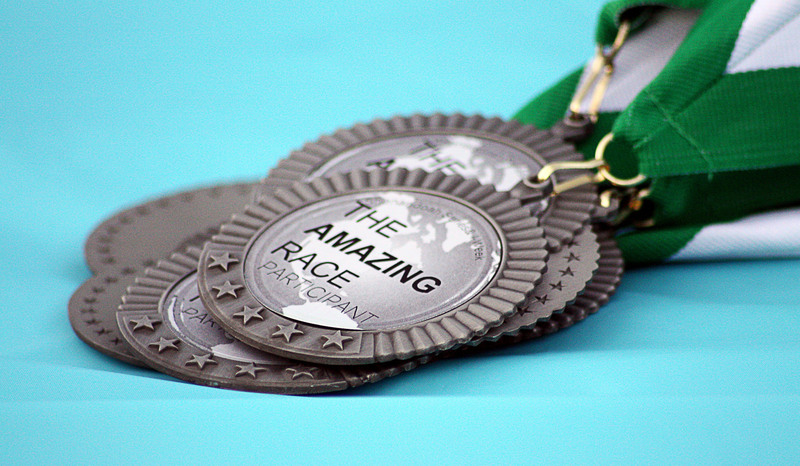 The Amazing Race, Mason edition, is modeled after the reality TV series “The Amazing Race,” where teams of two race around the world and accomplish challenges and tasks in order to get to the next stage of the race. Participants of Mason’s version raced around campus to locations such as the RAC and Mason Pond, and ran as far as President’s Park for the finish line celebration. “Our neighborhood DHRL (Director of Housing and Residence Life) challenged us to step it up a notch, as far as all of our programs in our neighborhood this year. Especially this event, so we did,”said Resident Director Ashya Majied. One of the rhyming clues started with the line “from the field to the track, from the sweat running down my back,” which lead teams to the RAC. The Amazing Race clues are clues that build upon one another. Once this clue was solved, teams raced to the RAC. Once there, participants had to quickly score baskets before receiving their next clue. The first team solved the eight clues in less than an hour, while the last team used over two hours to complete the race. The winners Breanna Boyd and Robert Dooley not only won bragging rights to being Amazing Race: GMU 2013 winners, but each received a ticket to the Verizon Center to see Beyoncé on July 29. Second place competitors each received a Keurig hot beverage machine. Racers in third place each received a Mason sweatshirt blanket. All teams were rewarded with a metal of participation. “I liked the competitive edge. There were 15 different teams so it was nerve racking, but you had to keep going,” said winner Robert Dooley. Advertisements for the event were done with posters around the housing and residence life neighborhoods, a blurb about the event on the iWeek website, and an event page on Facebook. Ashya worked with Head Resident Advisors Mabinty Quarshie and Gabby Porcaro to make the event such a success. “During the actual event, people were doing their jobs. Everyone came and pitched in, and it was really a group effort,” said Ashya Majied. The Amazing Race was the final event for an even bigger event hosted by the Shenandoah Neighborhood. ‘Doah Nights features a series of game-show like events that students can participate to show off their game-show skills and have fun as a community. The Amazing Race brought in both a tie with the neighborhood’s game nights and the university’s iWeek. All the challenges within Amazing Race related to different locations around the world. “Being able to partner with International Week was a blessing because it really complimented what we were doing. We were able to put an educational component to each of the challenges,” said Ashya Majied. The Office of Housing & Residence Life strives to create meaningful programs for students, and the Amazing Race is one of many successful events hosted for students. “Each neighborhood and our Residential Education Team work hard to create programs and experiences that we know students will learn from and enjoy,” Ashya said.